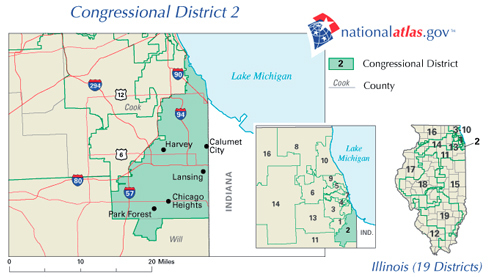 What's next for Chicago's second congressional district? CHICAGO (FinalCall.com) - It came as no surprise when word spread that 47-year-old Jesse Jackson, Jr., submitted his resignation letter to John Boehner, the Speaker of the U.S. House of Representatives Nov. 21. But despite the resignation, his ordeal is not over. Mr. Jackson is under federal investigation reportedly in talks regarding a plea bargain amid allegations of improper use of campaign funds. Although he had been on medical leave since June, his victory Nov. 6 provided a glimmer of hope for his supporters that he would be able to return to office. An ambitious politician with name recognition and years of experience, it was no secret that he was interested in the U.S. Senate seat formerly held by President Barack Obama. With a large and loyal urban troop of voters behind him, word had even spread he could possibly be a strong candidate for mayor of Chicago. While those lofty political aspirations appear to be dashed for the immediate future, political analysts are looking into what it means for the nearly 70 percent Black congressional district he has represented since winning the seat in a special election in 1995. Illinois Governor Pat Quinn announced a date of February 26, 2013 for the special primary election to begin the process of filling the seat. Northeastern Illinois University professor Robert T. Starks told The Final Call he does not think there is much danger of the vacant seat going to a Republican, however, another candidate, such as former U.S. Rep. Debbie Halvorson, who ran unsuccessfully against Mr. Jackson in the March primary could get in if several Black Democrats split the vote. Although he doubts it will happen, he said it would be wise if the several interested Black candidates got together and agreed on a consensus candidate. When asked what names he considered possible contenders for the seat, Prof. Starks said Illinois State Senators Kwame Raoul, Donnie Trotter and Toi Hutchinson. 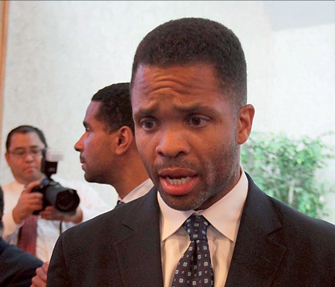 The name of prominent Chicago attorney Sam Adam Jr. has been mentioned along with several others, including Jesse Jr.’s brother Jonathan Jackson. “What I think might be an alternative is if some group of leaders or trusted people would come together and hold a forum of some kind and maybe select or throw their weight behind one candidate or the other,” said Prof. Starks. LeAlan Jones, who has made several attempts at political office as a Green Party candidate, said he is “extremely interested” in the possibility of going after the vacant seat. Mr. Jones, believes Mr. Jackson’s single-minded focus on the Peotone Airport Project, caused him to virtually ignore other options that could have been pursued to create jobs. “Education and small businesses are going to be the backbone of the resurgence of the second district in the immediate and in the long term,” said Mr. Jones. “The people were so naïve that his charisma undermined them getting anything else other than a dream. They did not get a reality. I see the reality and I don’t have to dream about it,” he added. Mr. Jones said the Democratic loyalty of Black voters in Chicago has been reliable, but in his view, has not borne fruit. “I see existing infrastructure within the second district that with a new vision and new insight can provide the return on the political investment that the African-American community has made, but has yet to see,” said Mr. Jones.